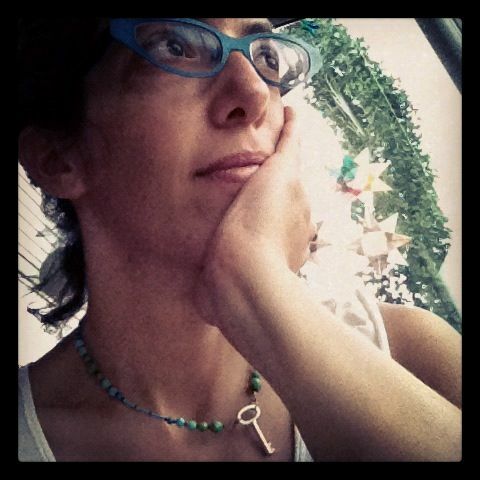 This entry was posted in Self Portrait and tagged core conn, dance, gremlin, self-portrait on July 12, 2012 by belknits. 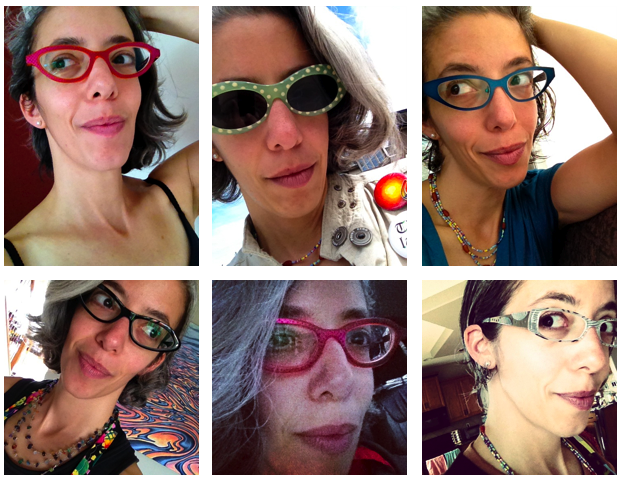 This entry was posted in Self Portrait and tagged eyewear, self-portrait on June 28, 2012 by belknits. 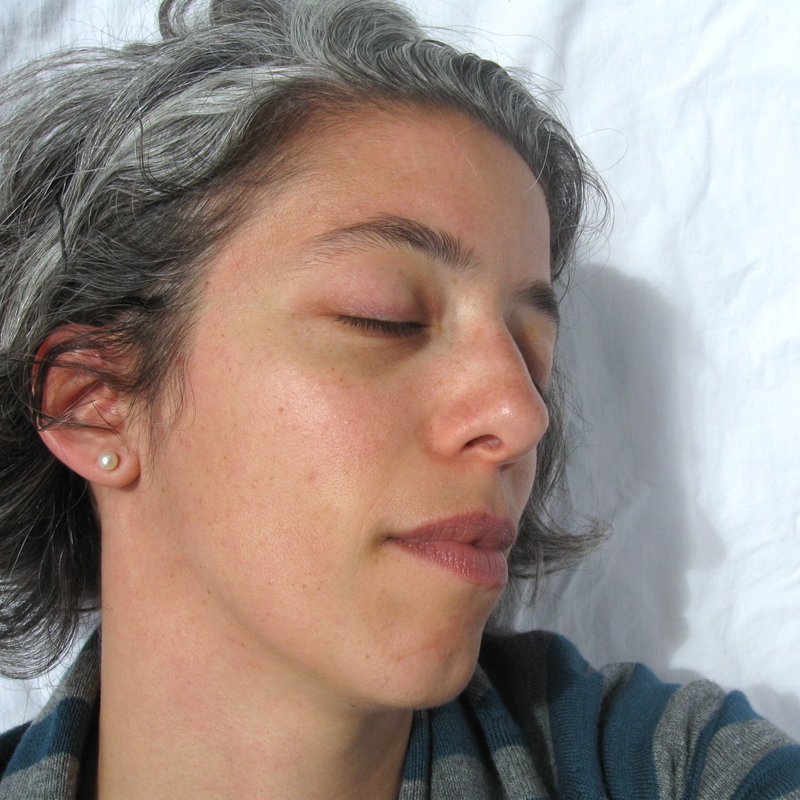 I love looking at other people’s self-portraits, but putting my own up is a real test for me. It makes me feel really vulnerable, much more so than showing my paintings. 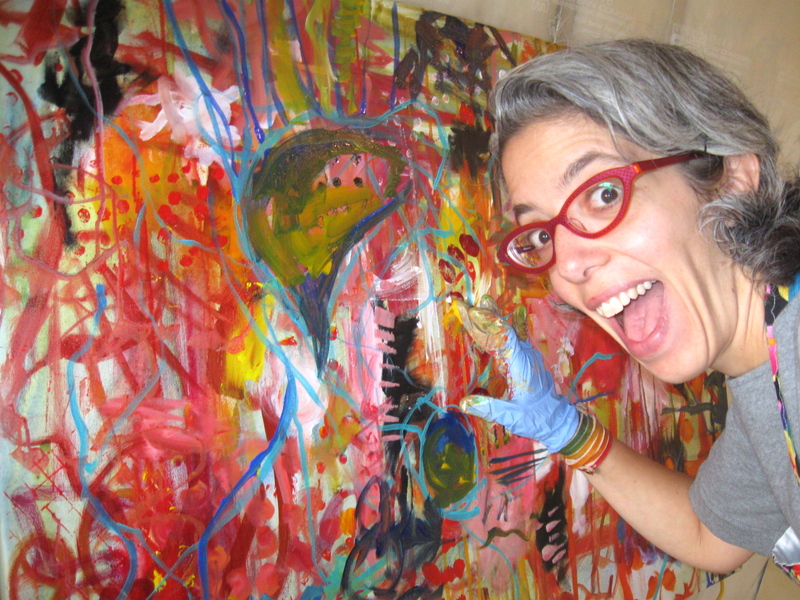 I guess I am way more critical of my own face than of my own paintings – someday I’d like to get to that place of complete acceptance – especially without my glasses! Part of this is getting over the “what big eyes you have” complex that I developed as a child. 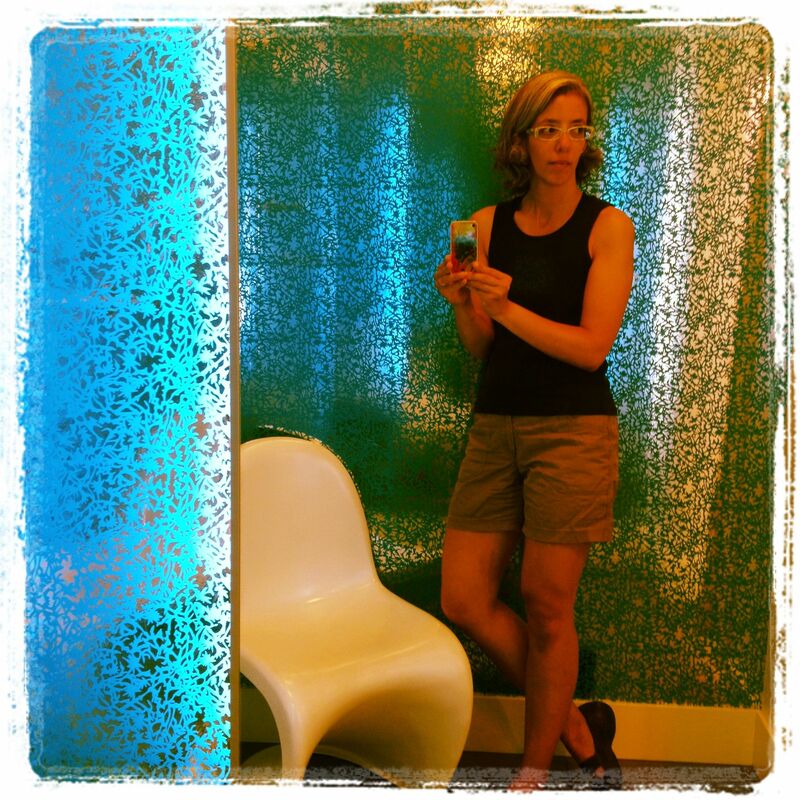 In the meantime, I am splurging on new glasses – 2 new frames! Can’t wait. 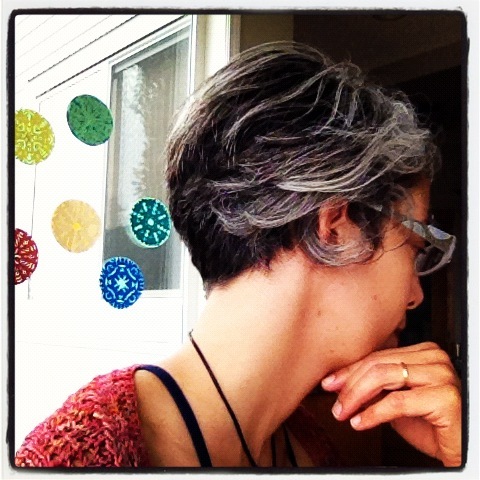 This entry was posted in Self Portrait and tagged self-portrait on June 21, 2012 by belknits. 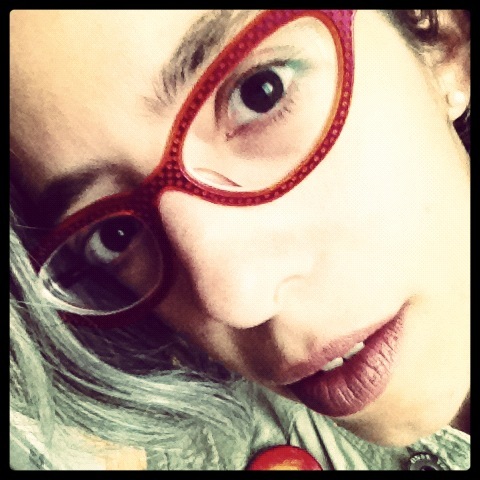 My first ever Instagram shot with my brand new phone! Do you think coincidences are just coincidences? Or do you think there is something more going on there? Back in April, when my Mom was visiting, we went to the book store to waste time while waiting for my son to finish school. Mom and I started doing some collaborative drawing (which we do almost every time we see each other). A woman (who I had already noticed, perhaps because I recognized her from somewhere, or because of her beautiful grey hair) leaned over and asked if I had my art in the library a little while ago. Yes! That was me! 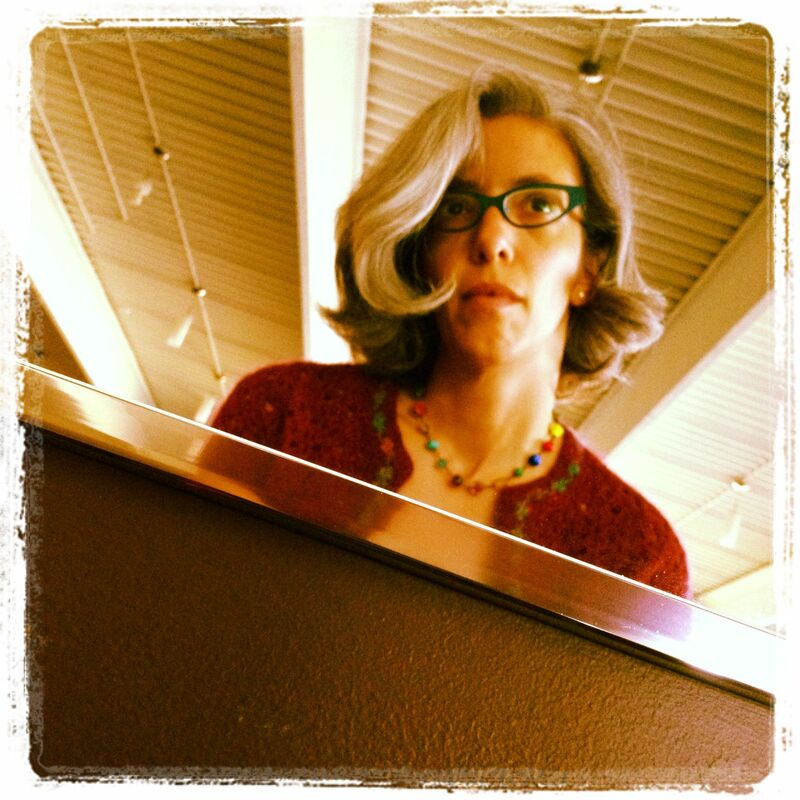 I was flattered that she recognized me, seeing as there was no picture of me at the library during the mini-exhibition. She said she had seen my blog and admired my work. I found out her name, but didn’t have any business cards to give her, and that was the end of that. A really cool experience, but nothing too out of the ordinary. Yesterday, as I was driving home, I saw the same woman running (I guess you don’t say “jogging” anymore, right?) up the street, 2 blocks from my house. I stopped and we chatted for a bit. It turns out that her brother has children who attend the same school as my kids and she lives a few blocks away from me! About 3 hours later, I saw her again at the natural food market! So, just a coincidence? Or are we supposed to meet each other? I’m curious, and open to seeing what happens. 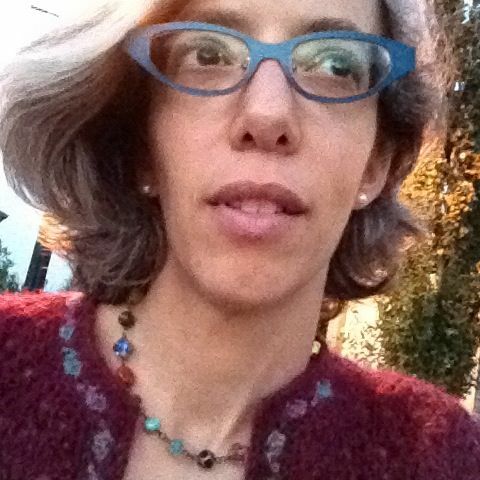 This entry was posted in Self Portrait and tagged coincidence, self-portrait on May 31, 2012 by belknits. 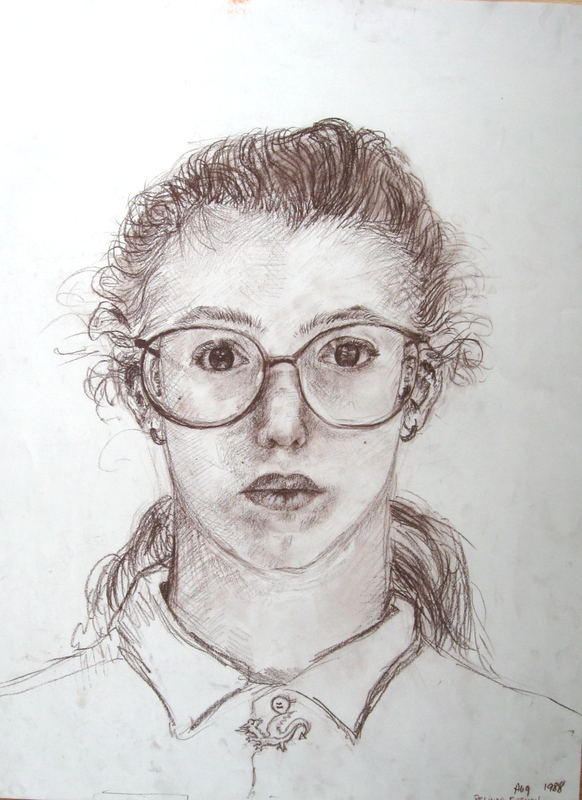 This is a drawing I did in 1988, when I was a camper at National Music Camp in Interlochen, MI. Gotta love the big glasses! 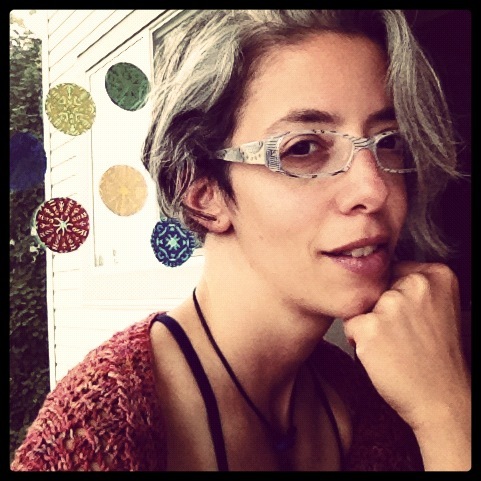 This entry was posted in Self Portrait and tagged drawing, interlochen, national music camp, self-portrait on April 19, 2012 by belknits.